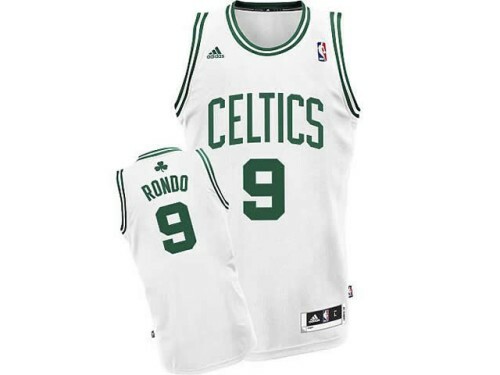 This new style Adidas Boston Celtics Rajon Rondo White Revolution Swingman NBA Jersey is a superb value delivering quality construction and fine detail approaching that of an authentic jersey at a price closer to that of a replica. Features all-new 100% flat-back mesh and polyester braid with stitched name and numbers capturing the colors of your favorite player's on-court wear updated jocktag mimics the on-court version new back neck taping eliminates need for back labels and 100% mesh detail is breathable comfortable and easy to care for. Officially licensed by the NBA. Officially licensed NBA product.